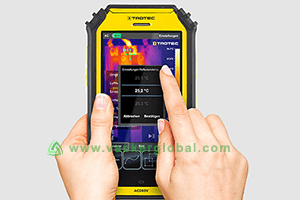 There are a number of parameters that cannot be measured and monitored without the application of certain devices. For this we have meters, those are devices used for measuring something in physical quantities. These are devices that are used for measuring and recording quantity, rate or degree of something. 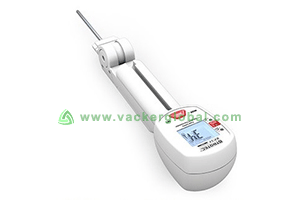 Vacker KSA offers a number of different meters that are used in a variety of fields for measuring. We supply different meters to major cities all over the nation including Jeddah, Mecca, Medina, Jubail, Al Khobar, Dammam, Riyadh, Mushayt, Khamis, Najran, etc. We have instruments that can be used for automatically measuring and recording gas, water, temperature, pressure, humidity, etc., in quantities. These are devices that are used for measuring the quality of ambient air. If there is presence of impurities in the ambient air then it is obvious that you will feel uncomfortable. Your discomfort may lead to a number of health issues. 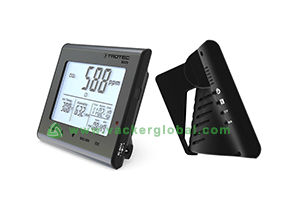 Hence air quality meter and particle counters are used to know the status of air around you. Oxygen is amidst the most valued and the most vital gases for humans. There are a number of gases present in the atmosphere but human existence relies on oxygen gas. For a safer environment, the level of oxygen should be in normal concentration. 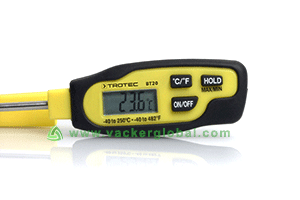 The concentration of oxygen in ambient air can be measured by oxygen meter. 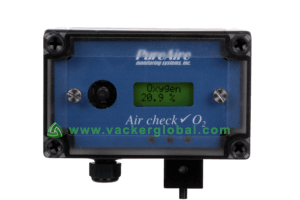 Vacker KSA supplies a wide range of oxygen meters for commercial and industrial uses. As we know that, Carbon Monoxide (CO) is considered harmful for human health. Hence the presence of CO in ambient air must be measured and controlled. For this purpose, Vacker KSA has CO meters in offer so that content of CO can be checked and monitored. If the level is above critical level then you can take preventive measures, afterward. CO is a colorless and odorless gas therefore if the level of CO rises in ambient air then this cannot be detected. However, the harmful nature of the gas starts playing its role on the health of the humans. For monitoring and maintaining places that are tough to access Vacker KSA supplies a variety of video inspectors and baroscope models that can help you in easy maintenance of devices and places that are hard to access. They have endoscopic visualization tool that can access and monitor difficult places. Vacker KSA also supplies a variety of leak detectors all over the nation. We are connected to our valuable customers through a wide range of supplies to major cities of KSA like Dammam, Riyadh, Al Khobar, Jeddah, Jubail, Medina, Najran, Mecca and Khamis Mushayt. There are various meters from Vacker KSA that will meet your requirement. We have meters of various ranges for measuring and quantifying a number of parameters.